Our company offers an array of superior quality Air Ventilators to our esteemed clients. These Air Ventilators are stress resistant, need less maintenance and specifically developed to meet various demands of industries. 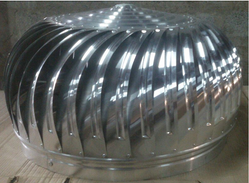 Our organization is engaged in manufacturing precision engineered Wind Turbine Ventilator. 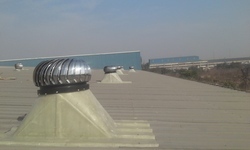 This equipment is used in the place of exhaust fans as their better substitutes. Basically, Wind Turbine Ventilators are designed to exhaust pollutants such as smoke, dust, humidity, fumes, poisonous gases and heat in various industries.